One of the many highlights of the day is sure to be this “Clam Chair” by Philip Arctander (1916-1994). 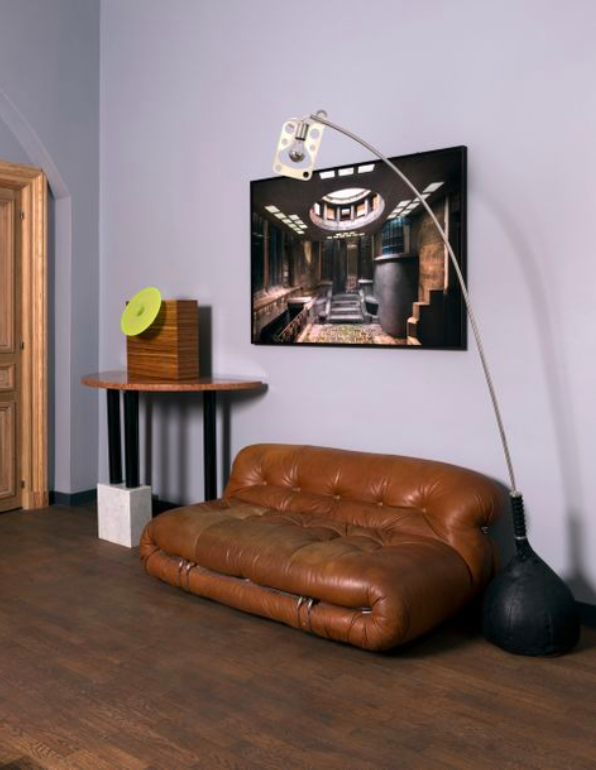 For almost half a century, the designer of this iconic piece of furniture was thought to be Danish architect Viggo Boesen—sometimes the design was credited to Martin Olsen, which turned out to be the name of an Oslo ­furniture store. Then, in 2013, Danish architect Poul Erik Skriver verified that his former colleague had, in fact, designed the chair in 1944, and that it was manufactured in the late 1940s for Nordisk Staal & Møbel Central. Like many examples from that period, this one features beech arms and legs, while the seat and back have been reupholstered in sheep wool. 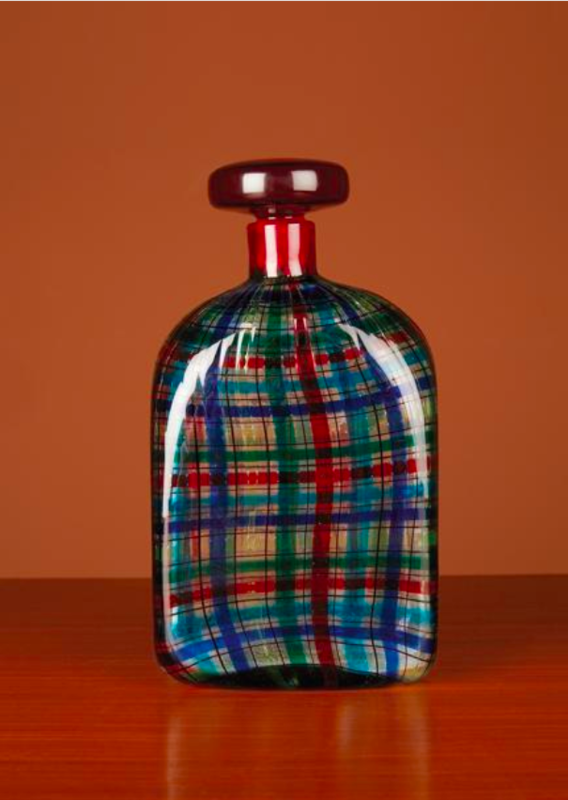 In the 1960s, the revered Murano glass factory, Barovier & Toso, produced a number of bottles with stoppers for Christian Dior’s “Tartan Series,” in which the colors and patterns common to this traditional form of fashion were imposed on blown glass. 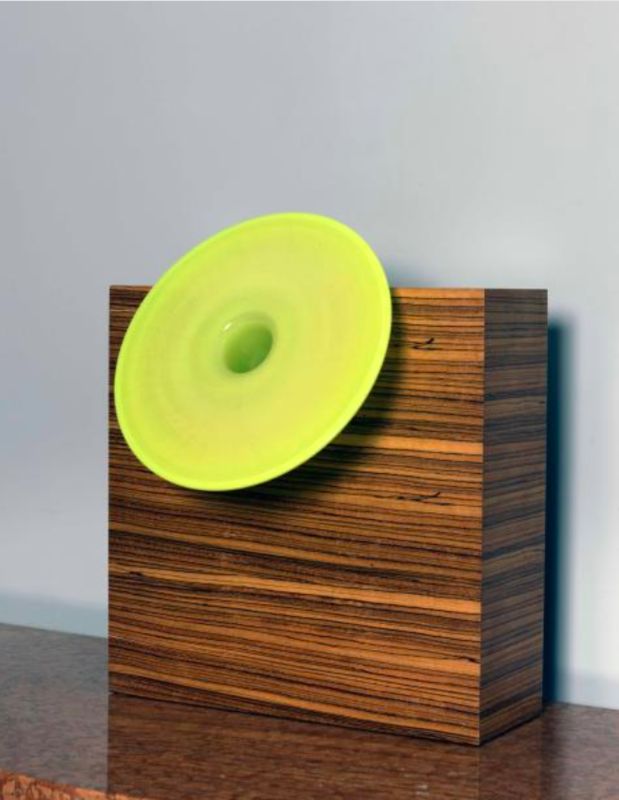 This example is about 24 cm tall. 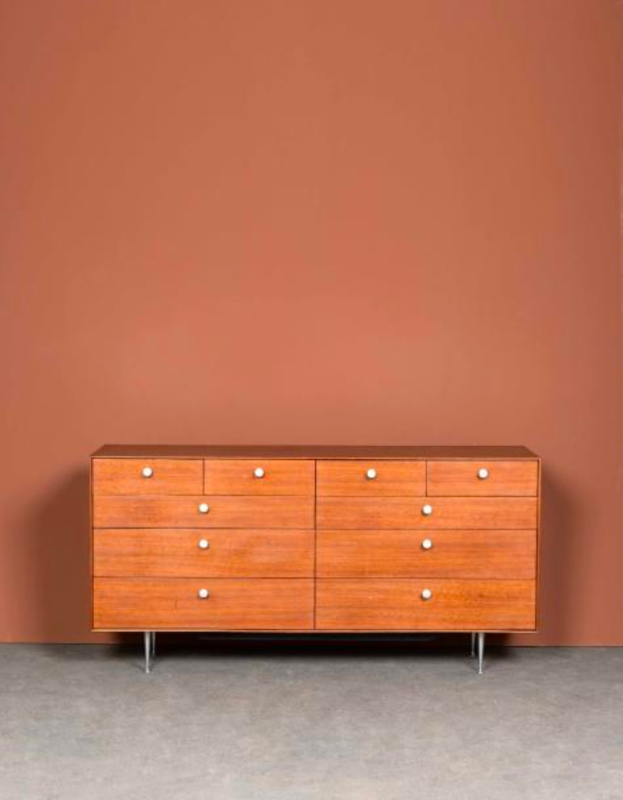 This “Thin Edge” commode, or chest of drawers, was designed by George Nelson (1908-1986) and manufactured by Herman Miller in the 1950s. Though some of these chests were made of dark rosewood, this one is a lighter walnut. 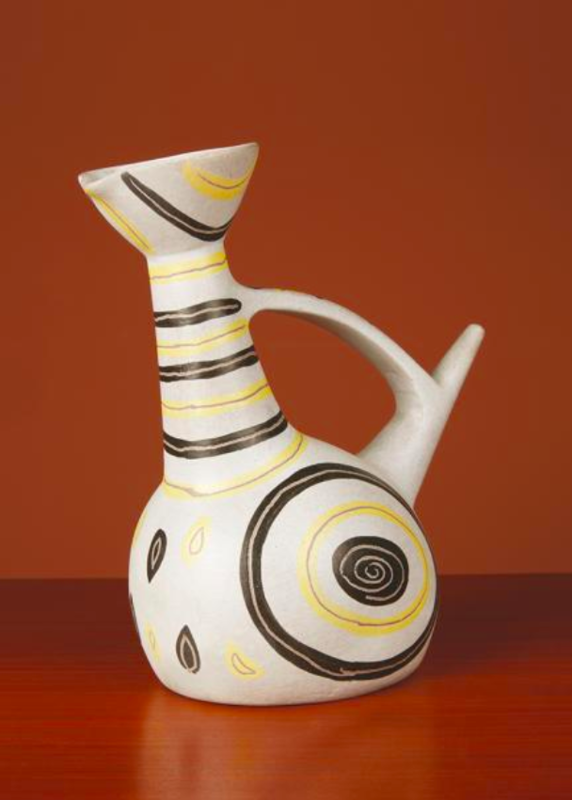 During the 1950s and ’60s, the husband-and-wife team of Jacques and Dani Ruelland produced countless examples of art pottery, with Jacques in charge of the glazing and Dani in charge of the shapes. This zoomorphic pitcher is from that period. Though the shape of this particular piece remained constant for years, the glaze and clay body would vary—many were produced from earthenware, and this one is a stoneware example. 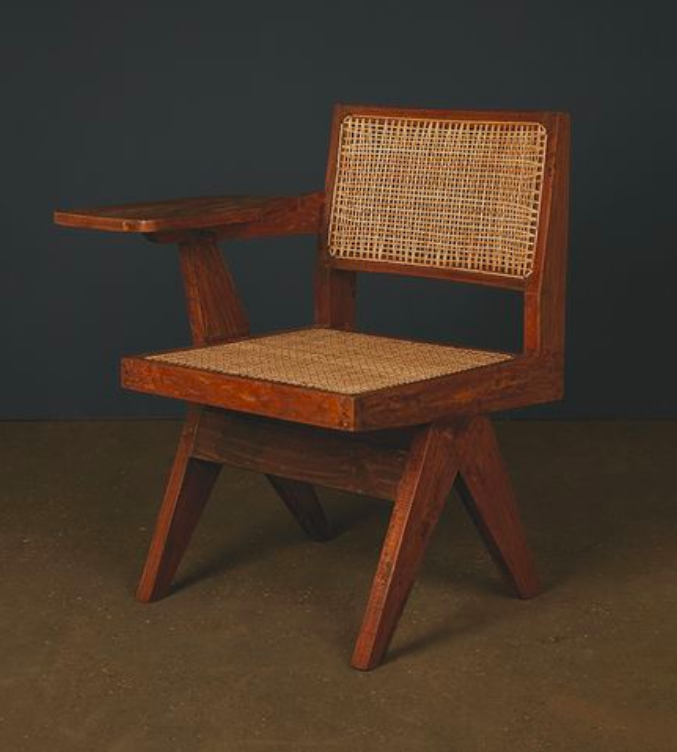 Pierre Jeanneret, the cousin of Le Corbusier, was the perfecting part of their duo as he graced Chandigarh with his furniture designs. His vision was to provide the people with aesthetically beautiful yet comfortable furniture. Chairs, tables, beds, and benches were produced to improve peoples quality of life. However many of the pieces were destroyed in the modernization of the city in the late 20th century. Thankfully a handful of visionaries saw the mistake and were able to save some of the furniture from garbage dumps and storage rooms in the Indian city. This "Classroom chair" is an example of today's very sought after Chandigarh furniture with the Panjab University de Chandigarh as provenance. Want more? Find all Leclere's lots on Barnebys!